Webinars are a funny thing. You talk to your screen, and you have no idea if anyone is listening! But I did get positive feedback about a webinar I gave yesterday as part of a series that Pearson offered called Speaking About Webinar Week. My talk was "Student Career Concerns and Aspirations: Integrating Languages for Specific Purposes into Basic Language Programs." The slides for the talks should be available at that page in the next week or so, but I'll include my slides from SlideShare toward the end of this post. As I was talking, I couldn't see the questions that people were typing. So I wasn't sure if anything I was saying resonated with people. Turns out, it did! I received the list of questions that were posed, which is a good thing because I didn't have a chance to answer them all during the time allotted for the webinar. First, there were several questions about the activities that I shared. So let me start with just some basic information. 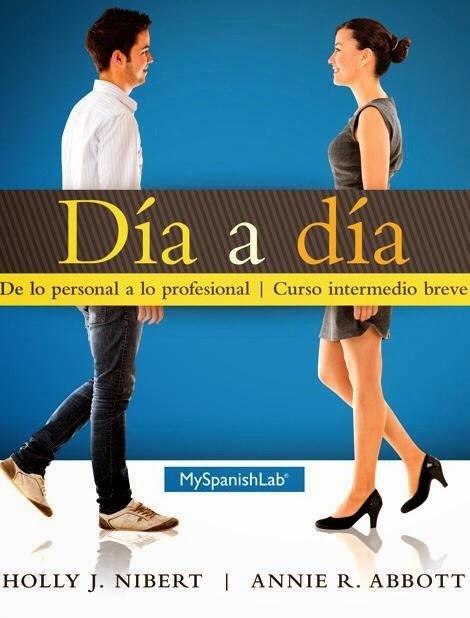 My friend Holly Nibert and I co-authored Día a día: De lo personal a lo profesional, and it is published by Pearson. Level. It was designed for fourth semester Spanish courses, but we have found that it works well in bridge courses, too (you know, that course that is intended to transition students from the basic language program to the major and minor courses). Book structure. As I said in the webinar, many textbooks dedicate one chapter to careers and professions. Our approach, instead, was to dedicate one half of each chapter to the professional realm. So it comes up over and over, reinforcing the idea that learning Spanish now is important for your future. There are six chapters. Course syllabus. I'm happy to share my course syllabus and calendar with you. All the "e" activities within the textbook. Community Service Learning. 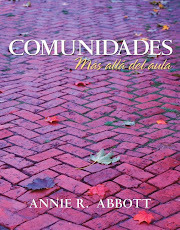 Because I am a huge proponent of Spanish community service learning, I included it in this course, too. But they only have to do one experience in the community. And the stakes are pretty low (except my best speakers, including heritage speakers, will work at the parent-teacher conferences at a local high school). This is my first time using CSL in the basic language program, so if it all goes well (it is going well so far), I can expand it. You can see the opportunities at this link. 1. Do you interact with other departments/disciplines in regards to teaching professional Spanish at your institution? Is there some team-teaching, etc? Do other language departments at your institution also have a "professional language" approach, or is Spanish the forerunner? Do other languages emphasize other professions? These are such good, important questions, and here is my sad answer: No. I do interact with other disciplines because I am part of a campus-wide group of faculty who teach entrepreneurship, but unfortunately there is not much collaboration on teaching, and because everything I do in my teaching is in Spanish, that tends to exclude me. As for other languages, there might be some feeble attempts going on. This is not meant as an insult to any individual faculty! I only mean this in the sense that it certainly not a departmental priority in any language department that I know of. 2. Do you have any recommendations for Spanish Business Online? Also, have you heard of professional track-oriented majors in Spanish or other languages? 3. Can you recommend a specific text for "Spanish for Health Occupations"? I have never taught that course, but I have heard a lot of people use A su salud. 4. Any recommendations for Spanish for Engineers (books or activities)? No, I don't have any recommendations for that, either. I do know that the University of Rhode Island offers a highly successful International Engineering program that fully integrates language learning. Be sure to check out their program and people. In general, though, I would approach it this way: I would ask some engineers what their day-to-day activities look like, and I would build my materials that way. In other words, I wouldn't try to teach lots and lots of technical vocabulary in Spanish. Rather, I would focus on things like clear communications within a team; interacting with designers; problem solving; etc. 5. Have you had success promoting this approach as a way to shore up languages at your respective schools? 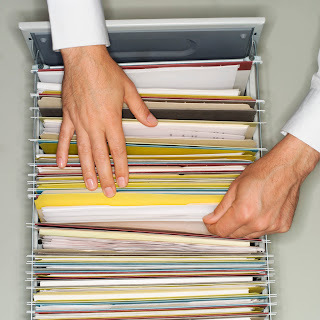 Are colleagues outside of the humanities receptive? Thanks, this was a very helpful webinar. Lots of food for thought. I'm glad you found it useful! I'm going to be honest, though: until language departments decide to fully embrace languages for specific purposes as a complement to their other courses (not as a replacement), it probably won't do as much as it should to shore up the major. Many places now have a minor in Spanish for X or Spanish for the Professions. But if these kinds of courses are just elective "add-ons" instead of fully contributing to the major, we're still in a precarious situation all the way around. But if you have ideas, I'd love to hear from you. I'd love to hear more from you and share ideas. You can email me at arabott@illinois.edu, call me at the office at 217-333-6714, friend me on Facebook or message me on Twitter (@AnnAbbott).